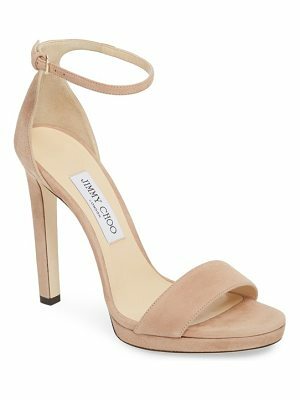 A bow at the vamp lends a feminine feel to these suede, peep toe Michael Kors Collection sandals. Buckle ankle strap. 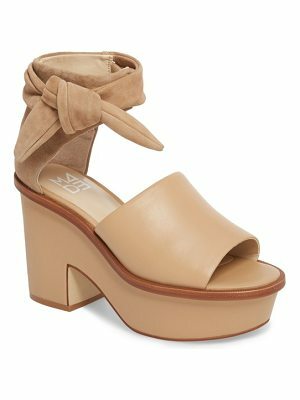 Chunky, covered heel and platform. Leather sole. Leather: Goatskin. Imported, China. Measurements Heel: 4.5in / 115mm Platform: 1.25in / 30mm.